Hiking in the Great Smoky Mountains is exhilarating, with the expansive panoramic views, native plant and wildlife, spectacular creeks, rivers and ridgelines. 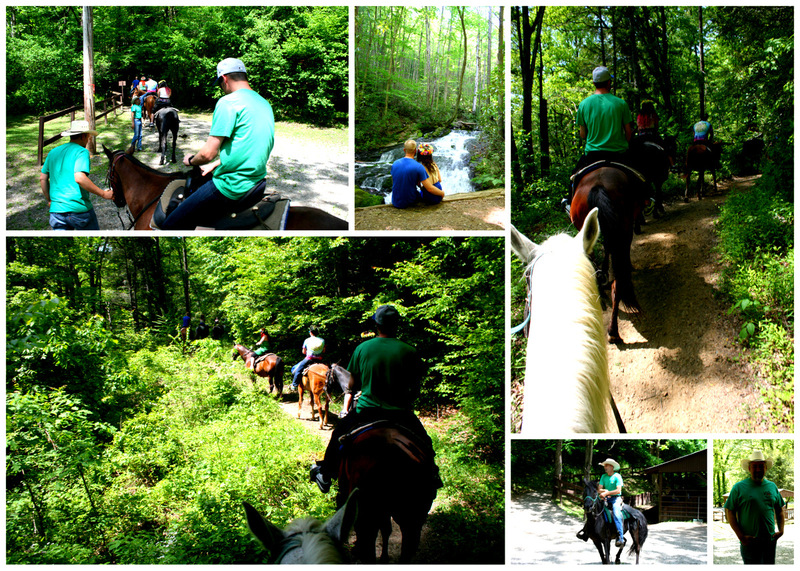 However, you haven’t lived until you’ve ridden horseback through the lush forests of Western North Carolina. Just past Bryson City and Cherokee, North Carolina, two horse stables offer this unique adventure with guided horse rides on the trails of the Nantahala National Forest and the Great Smoky Mountains National Park. With their well-trained mounts and experienced guides, even the most inexperienced riders can enjoy themselves with confidence. Before long, any fears will subside as the majesty of the mountains becomes apparent. At some point, most of the trails lead past fiddle-head fern groves and natural trout-laden rivers to points where riders can disembark for a short walk to view gently flowing waterfalls. Rides are available between one and four hours each day, while the more adventurous rider can enjoy an overnight camping trip that lasts between two to four days and explores deeper into the network of forest trails. Located just off US 441 North within the Great Smoky Mountains National Park, five minutes north of Cherokee, North Carolina, Smokemont Riding Stable offers a safe, fun, family friendly, horseback riding experience within the Great Smoky Mountains National Park. Elizabeth Burns Cook, Manager for more than 17 years, says her experienced mountain trail horses and friendly, knowledgeable guides help make Smokemont Stables a destination for truly enjoyable horseback riding. Groups are welcome, but please call for reservation or advance notice. Hourly rides feature wooded scenery and crossing the Oconaluftee River starting at $30 per rider. The friendly, knowledgeable guides at Nantahala Village Riding Stables offer adventures into the Nantahala National Forest, which the Cherokee called “the Land of the Noonday Sun” for its abundant ridges and shadowy canopy covering. Owned and operated by the Loftis family for over thirty years, the stables is open from 9 am to 6 pm every day from March 15 50 November 1. 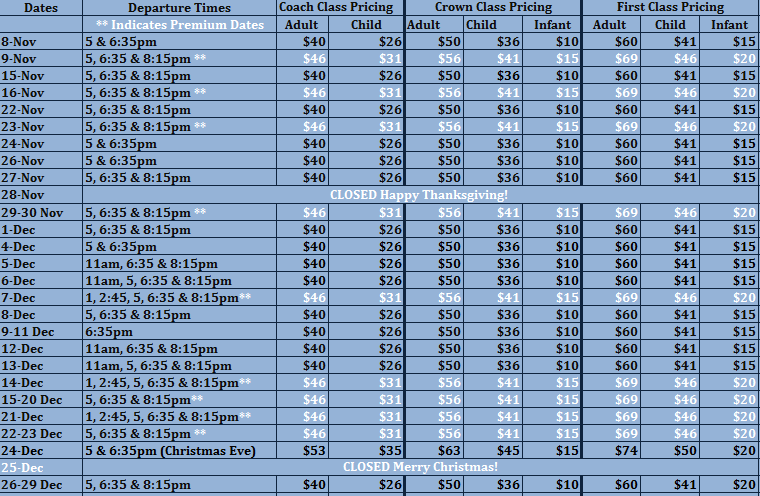 Rides are scheduled at $22.00 per hour, per person and range from one hour to overnight camping trips. If you have your own horses, the Great Smoky Mountains National park and Nantahala have enough trails that you can ride a different major trail nearly every day. For more information about the trails in the area you can contact the Nantahala National Forest at 828-479-6431 or the Great Smoky Mountains National Park at 865-436-1231. It’s that time of year now and holiday craziness and is spreading like wildfire across the homes of the mountains as families scramble to get everything ready for visitors or get ready for braving the crowds and travel across the country. We will be staying in the beautiful Mountains of NC this season and we are so thankful for so many things we wanted to share with you all just a few of those things before we forget what this time of year is really all about. Tomorrow is Thanksgiving and we could not be more ready to enjoy some time off and time with family while chowing down on something us southerners know really well, and that is some good home cooked Thanksgiving food. However, Thanksgiving is not only about the food, it is about being thankful for many things, which we sometimes tend to forget about as we go right in to thinking about Christmas presents and Black Friday sales. Below are what we consider The Best 5 Things About Thanksgiving in the Mountains! 1. Family Traditions: The mountains of North Carolina are steeped heavily in traditions that have been passed down from generations to generation. We know that there are other parts of the country that also value family traditions, but none quite as special as the mountains. With the rich heritage of the southern Appalachians instilled in almost every home across the mountainsides we know that there will be great time spent enjoying family and time together, knowing this gives the entire area a warm and thankful feel that even the visitors can sense. 2. No Traffic: Yes, we may be considered to be out in the middle of nowhere by some, however, we believe that being located out here provides us with an unexplainable peace that only those who live here know about. The fact that the only days that we really have to fret about traffic is July 4th, Halloween, and the Christmas Parade is pretty special. We believe that this low amount of holiday traffic leads to less stress and happier people all across the mountains. If you are looking for some good traffic to sit in though just head to Asheville on any particular day and you will get you fill. 3. Cozy Cabins: There is nothing quite like spending Thanksgiving with all of your family and friends in a warm and cozy cabin sitting on the side of the mountain with smoke rolling out of the chimney, a warm glow coming from the light reflecting off of the wood throughout the house, and a view overlooking the never-ending layers of mountains. Thnaksgiving in a mountains cabin or cottage is something special, and you may not ever know how special this is until you experience it for yourself. 4. Cutting Your Own Christmas Tree: Thanksgiving day is not only known for eating lots of great food, but it is also known as the day when families should all go together and pick out there Christmas tree and them come back and get to decorating it. However, in most places across the country picking out your Christmas tree means going to the closest tree lot of grocery store and getting a tree. Here in the Mountains we prefer to drive out right to the farm and hike through the forest of trees, taking in the wonderful smell around us and pick out a tree that is just right for us. Then the tree is cut right in front of you and carried back down to your car and prepped for you to take home. This is an experience that every family should have together at least once because it is a memory that you will never forget. 5. Cold Weather and Snow: Nothing makes getting cozy with family in your cabin better than cold weather and a chance of snow. The cold weather chills us to the bone and makes the warm hugs of welcoming friends and family all the better. A dusting of snow brings an excitement that only snow can bring, there is just some kind of cheer that is spread throughout the air when it snows. We are not talking about the kind of snow that inhibits travel, we are talking about the just enough to dust the ground and not enable travel on the roads. These are the 5 best things about Thanksgiving in the mountains in our opinion and we know you probably have your own reasons why Thanksgiving where you are is the best, but we love the mountains of NC and we just wanted to share with you just another reason why. If you are looking to come to the mountains for the holidays look into renting a cabin from Yellow Rose Realty! Thanks for reading, and we wish you a thankful Thanksgiving and a Merry Christmas! Get Your Tickets for the Polar Express! 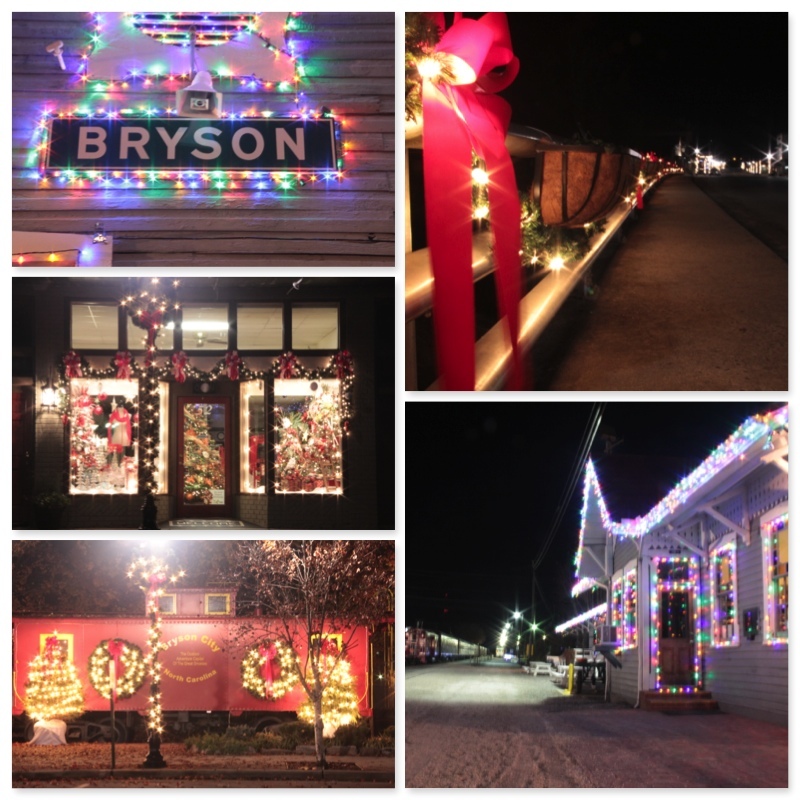 Looking for some holiday fun while visiting your Bryson City or Cherokee vacation cabin rental? Then, Put on your favorite pajamas and hop aboard the Polar Express! Book your tickets for the Polar Express at the same time you book you cabin for a hassle free experience….just call us at 800-528-0760. The Polar Express train excursion is inspired by Chris Van Allburg’s classic holiday story of a boy who takes a magical Christmas Eve train ride to the North Pole and learns that the wonder of life never fades for those who believe. Enjoy music from the motion picture soundtrack as you sip hot cocoa and listen to a reading of “The Polar Express”. The train winds through the countryside on the way to the North Pole where Santa will be waiting. Santa will hop aboard the train for the journey back to the depot. As guests sing along to Christmas carols, Santa will visit with each child and present them with a special silver sleigh bell. Smoky Mountain Trains Museum admission is included with all train excursion tickets. Without train excursion admission is $9 for Adults and $5 for Children. **THE POLAR EXPRESS is not afraid of a little winter weather! No snow, rain, or gloom of night will keep the THE POLAR EXPRESS away! Of course, we want all of our guests to remain safe on their travels. Rest assured THE POLAR EXPRESS will operate. In the event that the North Carolina Highway Patrol or Department of Motor Vehicles deems travel unsafe on Interstate 40 or Highway 74 resulting in a closure, please call your reservations staff at 1-800-872-4681 for further details and instructions. We encourage guests to plan ahead and stay apprised of the latest weather developments. YOU MAY RESCHEDULE your trip AS LATE AS 48 HOURS BEFORE YOUR SCHEDULED DEPARTURE with a $6.00 fee per ticket. If a cancellation occurs 48 hours before your scheduled departure a fee of $14.00 per adult ticket and $7.00 per child ticket will be applied. Once you are WITHIN 48 HOURS OF YOUR SCHEDULED DEPARTURE, the tickets are NON REFUNDABLE. Use our Physical Address 45 Mitchell St. Bryson City NC 28713 to find an alternate route if 441 Smoky Mountains National Park road is closed. So get ready to come to Bryson City this Christmas season and enjoy the thrill of reliving one of your child’s favorite movies. See you soon! Fall is on it’s Way! 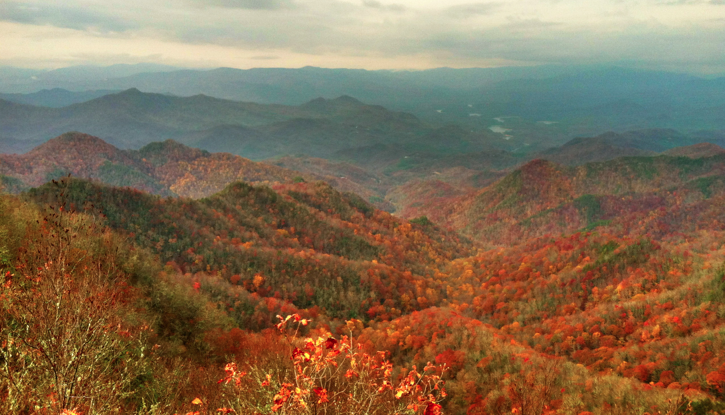 One of our favorite times of year around the mountains of North Carolina is fall! The mountains change from and endless sea of lush greens to a never ending canvas of splotched reds, yellows, oranges. These beautiful colors give the mountains a warm and rich feel that makes you just want to curl up next to a fire and sip some hot apple cider. Fall in the mountains also means tons of festivals and events, there are many things for visitors to enjoy when they visit during the fall and you can find a whole list of what will be going on in the area under out Area Events page. We are almost to the middle of September and the colors have already started to change a little in the higher elevations, but the peak season usually does not show up until early October in the high elevations and late October early November in the valleys. Once the colors really start to change, a ride on the Blue ridge Parkway or through the Great Smoky Mountains National Park will be breathtaking. The gorgeous view paired with the bright colors of fall make for some of the best memories of the mountains. Fall color experts were saying that the colors this year might not be as good because of all the rain we had this summer. However, the experts did say that if we had a dry and hot September that the leaves would be bright and colorful, and let me tell you what, we have had a very hot September! Our weather over the past two weeks has been more like summer than anything we saw all summer, hot and dry has been the usual lately and that is fine with us because the brighter the colors in the fall the better! 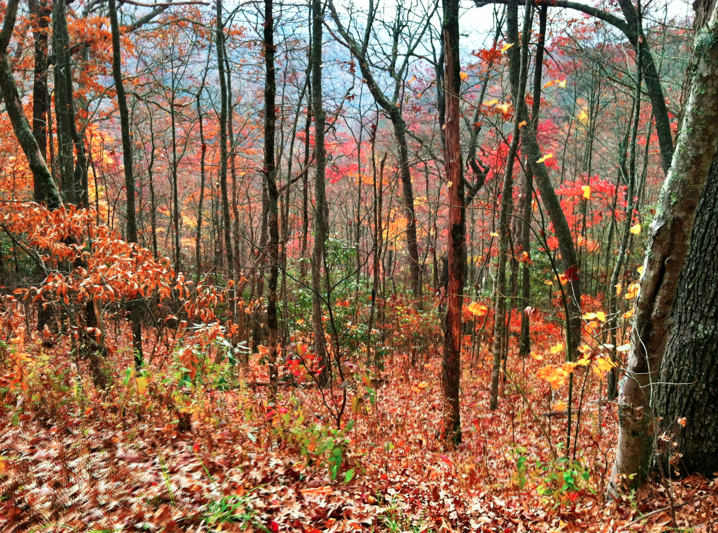 Check out the Great Smoky Mountains Association’s Fall Color Report for updates on what the color is doing in the area and what the predictions are for peak season. We hope to see you in the mountains this fall! Make sure to check out yellowroserealty.com for specials on vacation cabin rentals in the area. Deals For You, When You Stay In Our Cabins! Yellow Rose Realty only selects the best outfitter partners to create value-packed vacation packages for you during your mountain vacation. From getting pampered at a spa and touring a mansion to rolling down a raging whitewater river you can be sure that there is something for everyone in the family. There are different companies that offer the same things as the expert partners we have listed below, but if you choose to book with them you will miss out on the special rate that we can get for our guests. If you are interested in booking any one of these adventures while you are staying with us at Yellow Rose Realty then just mention it when you are booking your cabin and we will help you get set up! BILTMORE HOUSE TOURS – America’s Largest Home is an breathtaking experience for the entire family. Buy a 2 day pass for the price of 1! Tour America’s Largest Home and experience a grand piece of American history. CANOPY TOUR – Sky-bridges & tree-top zip-lines offer a unique view of the Nantahala Forest. A soaring and gliding experience naturally fueled by a gradual elevation change at Nantahala Gorge Canopy Tours. Enjoy a soaring and gliding experience naturally fueled by a gradual elevation change at Nantahala Gorge Canopy Tours. It takes limited energy to participate and is not designed to scare with big drops as much as excite with smooth gliding. Each participant is provided with state of the art equipment including helmets, full body harnesses, trolley, gloves, tether safety lines, and 2 canopy rangers per group. This Brand New three-hour experience gives you over 1/2 mile of air time with – 3 Sky Bridges and 5 transfer bridges – 11 zip line sections alternating between slope side, trees, & elevated platforms – A flight into our Eagles Perch, Slingshot, & Elevated Overlook stations – Over 20 scenic and unspoiled acres of flying area all within the heavily wooded and scenic setting.Age/Weight range: 10 years and 70 lbs to 250 lbs. All flyers will need to arrive wearing collared shirts, longer shorts or cropped pants and require closed toed shoes. All flyers must be in reasonably good physical condition. Flyers must be able to raise their arms over head to self regulate speed and braking. FLY FISHING – Learn to fly fish! Western North Carolina boasts some of the best trout and small-mouth bass fishing in the Southeast. We offer fly fishing instruction and fly fishing trips with professional guide service. All necessary fishing equipment, instruction, transportation and lunch. HORSEBACK RIDING – Horseback Riding through the mountains of Western North Carolina. Horseback Riding: Enjoy the Great Smokies on horseback with these guided tours. This 2-hour tour takes you on a personal exploration up the mountain to some of the most spectacular waterfalls in the Nantahala area. We will be traveling in a Jeep® Wrangler converted vehicle, with an extended rear to accommodate 5 passengers and a clear plexiglass canopy over the roof. We recommend adventurers bring: jacket, hat, sunglasses, binoculars, camera, and wear comfortable shoes for walking and weather appropriate clothing. Wildwater will provide a rain poncho, water and snack. We also carry insect repellent, a first aid kit and a small cooler along with interpretive books with maps and plant ID pictures. Trip minimum: 2 people, Trip maximum: 6 people. Minimum Weight: 40 lbs. Advanced reservations are required. JETBOAT ADVENTURES – Jetboat rides and hike & ride tours for the whole family! Hike & Jetboat Ride: The Fortney Creek Hike & Ride combines the beauty of a 4-mile hike (which begins with a tunnel) with the thrill of a Jetboat ride across Lake Fontana. The hike features towering poplars, majestic oaks, and abundant rhododendron. There are periodic stops to rest, have snacks and learn about the park and its incredible diversity of plants and animals. Once at the lake, there is time for a swim and lunch, before boarding the Jetboat to race across Fontana Lake. Great for families! Reservations at least 24 hours before are required. Starting time is 10:00 am. All day adventure! Jetboat Adventure: A Jetboat ride is like nothing you have experienced! These boats are extremely maneuverable and can spin within their own length. Excitement awaits the whole family as you speed and spin across Fontana Lake with the Great Smoky Mountains National Park as your backdrop. Trip Time 1 hr, on the water 35-40 minutes. 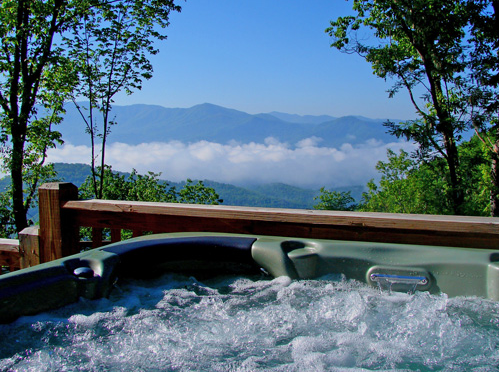 Extreme Hike & Ride: (Adults Only) The Extreme Jetboat Combo begins with a 12-mile hike descending 5000 feet from 6643’ Clingman’s Dome (the 2nd highest peak in the East) to Fontana Lake. The hike descends through all the ecosystems and the five forest types – spruce-fir, northern hardwood, pine-oak, hemlock, and cove hardwood. At the lake, take a swim, then board the JetBoat for a thrilling ride across Lake Fontana. Lunch, snacks, water, the Jetboat ride and all transportation is included. All day extreme adventure! Private Whitewater Kayak Instruction: Private instruction is the quintessential method if you wish to excel in this great sport. There is a focus- with the instructor wanting exactly what you want: for you to learn and to improve. They are able to adapt teaching techniques to accommodate your learning style and make sure you get the most out of your time. Progressive techniques are used to improve your rolling, playing used as a mechanism to gain more boat control, and river running used as the basis to improving your overall skills. We are proud of our group of instructors. They are committed to working with you you in your quest to become a better boater! Private Instruction is for a Group of One to Four For you individually, or your group of up to four, the day is yours to learn as much as you can. Scenic Kayak Lake Tours: Join us in touring kayaks to explore the seldom-visited areas of Cheoah and Caulderwood Lakes.Comfortably outfitted in Wilderness System kayaks, any and all experience levels will enjoy this trip. Both scenic and informative, this will be a highlight of your visit to western North Carolina. Kids & Family Kayak Instruction: Does the whole family want to learn together? Take instruction as a family and share the experience of learning a new sport that everyone can enjoy! Private instruction is available 7-days a week and is the perfect arrangement for the family paddling together. Inflatable Ducky Trip: A ducky or inflatable kayak is a one or two person inflatable raft. Duckys are a great choice for experienced river rafters who are looking for a more high-performance trip down the river. We offer both guided ducky trips and ducky rentals. And wet suits are complimentary for all our ducky guests. There is a minimum weight limit for children of sixty (60) pounds or seven (7) years old. 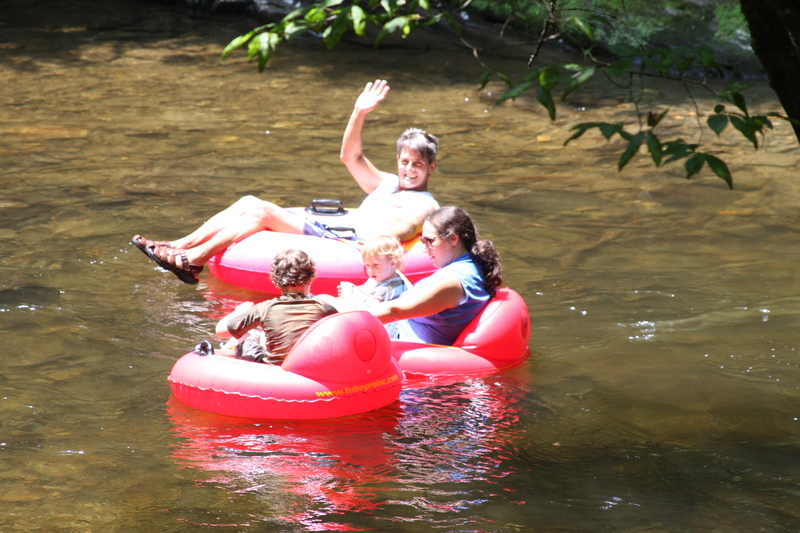 The river is an eight mile Class II-III river that flows through the Nantahala Gorge. Guaranteed Guide in your raft. Hot Stone Massage:Tension, muscle aches and stiffness float away as your body sinks into total relaxation. Special massage techniques are joined by a surprisingly enjoyable element- the heat and weight of warmed basalt stones- for added effectiveness. Swedish Massage: It’s amazing how light pressure, smooth strokes and easy movements can revive a wonderful sense of well-being. Ideal for getting your circulation going and keeping tried muscles humming. This massage helps reduce emotional and physical stress. Ultimate Foot Massage: Here is the ideal antidote for a day of hiking, or any other day that leaves tired tootsies longing to be lavished with extra TLC. This luxuriating treatment includes relaxing mask, calming cream and massage. Face Massage: Renew and rejuvenate with our specialty: an anti-aging face massage that delivers instant and visible results. From massage contouring to detoxification, every step of this six-step treatment is designed to firm and lift your appearance, as well as your spirits. Body Treatments: This shoulder-to-toe treatment smooths, soothes, and slenderizes. Following exfoliation, a state-of-the-art firming machine is applied to reduce the appearance of cellulite. Nourishing steam and masks refine skin texture. Topped off with a moisturizing body cream, your skin emerges soft, supple, and noticeably toned. All-Season’s Aromatic Scrubs: Citrus-mint, chocolate-rose, lemongrass-lavender, apricot chamomile and eight other delectable duos are among our flavor-of-the-month scrubs. There’s no question about it. You’ll want to visit often to savor each smoothing, skin-quenching combination. Treatment includes exfoliating scrub, massage and cream moisturizer. STAND-UP PADDLEBOARD PACKAGE – Take you family and friends out for and amazing paddleboarding adventure. Perfect for the whole family! Come see what all the fuss is about and have a great time exercising and stand up paddleboarding on Fontana’s finger lake. Just minutes away from Bryson City, NC. Bryson City Outdoors is a Stand Up Paddleboard(SUP) rental company located in Bryson City. Owned and managed by people who love the outdoors and love their community. Stand Up Paddling is one of the fastest growing water sports today. It fun, healthy, and can help improve the overall quality of a persons life. Strengthen your core, improve your balance and get to know a part of nature you may be unfamiliar with. TRAIN AND JEEP EXPLORATION – Follow a train ride with Jeep exploration in the Nantahala Gorge. Rails and Trails: Ran /Jeep Tour – Take a 2 hour/22 mile scenic rail excursion from Bryson City into the Nantahala Gorge. A customized Jeep meets you and continues the exploration for a 2 hour trip up the mountain, past waterfalls and lakes, to ridges and valley. Rendezvous back with the rafters at Wildwater’s Rafting Center for lunch. TRAIN AND RAFTING PACKAGE – Ride the Train, Raft the River – all in one day-trip! It is officially here, “The Busy Season”! The week of July 4th is one of the busiest of the entire year, with thousands of people descending on our little town to enjoy the beauty of the nature around them and to steal a little bit of our small town charm for their memories. We love this time of year because there is so much going on and there are tons of people around to help boost our small town economy, but this also means that we will be working ourselves to death until the visitors leave. We are okay with working overtime right now though, because in a seasonal town like this you have to make up for January, February, and March when you can. Even though we find ourselves working a lot during this time of the year we also find time to still enjoy the beautiful place that we call home, and we would like to share with you some of the things that you should not miss out on seeing/doing when you are in town. This a special spot because it is part of the Great Smoky Mountains National Park, and even though it is very busy in the parking and picnicking areas during this time of the year you can still find peace and relaxation if you are willing to hike far enough in to the park. Many people will just turn around once they see how many people are using Deep Creek for tubing, but if you take the initiative to hike 1/2 mile further than the rest of the crowd you will not be disappointed! With many waterfalls, diverse wildlife, hundreds of thousands of trees, and much more your time spent here will be simple but so enjoyable. This is a great spot to go where you can experience some great mountain views and peacefulness without being tuck in traffic and sharing your time with hundreds of other visitors. You can drive most of the way to Wesser Fire Tower and then the hike is about 1.5 miles on the Appalachian Trail. Once you reach the fire tower you can climb on up and sit and soak in the views while enjoying a picnic or take a short nap, be sure to bring sunscreen though. 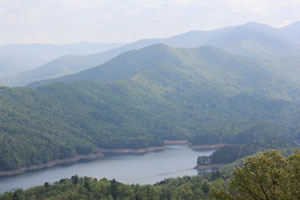 The Fingerlake is part of the Nantahala National Forest, this lake is connected to Fontana Lake by a pipes, so that means no boat traffic to worry about! There are absolutely no motorized water crafts allowed on this part of the lake, so that means you can swim, paddle-board, kayak, canoe, float, soak up the sun, and much more without having to worry about getting run-over by a boat. This is a very popular spot in the summer for locals and tourists alike to cool off and enjoy the water, but it is still one of our favorites! These are the places we will share with you for now, check in later on for more unique places that you should not miss while you are visiting our small town with a big backyard! From growing up in the mountains the first thing I think about when I hear the word vacation is a high-rise hotel right on the beach. Why? Well because that is what we did every year, not because it was the best value, but because we had done it all those times before and it was routine. However, we did eventually move our family vacations over to a vacation rental because of the reasons below and more, and we have some of the best memories from the times where we rented a house, the experience was much more personal and it felt like a second home. note: (Families who live in the mountains go to the beach for vacation, and families that live at the beach come to the mountains) This tends to be the norm. Spacious: The cabins are more spacious than a regular hotel room. They have separate rooms which means that everyone in your group is free to spend their time anyway they want. The balance of personal space, family space, and the beautiful outdoors will make you stay as comfortable as your own home. 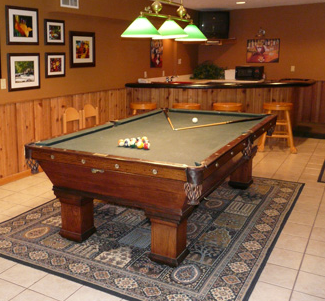 Amenities: Today most rental cabins come with all the necessary amenities. You will find all the modern appliances, kitchen equipment, comfortable furniture, Television, DVD player, Hot Tub, Pool Table, Large decks and patios, amazing views, and much more. Affordable: Comparing the rental cost for a cabin, which has multiple rooms, with the expenses of just one hotel room can give you a clear idea that how cost-effective and beneficial it is to rent a cabin rather than a hotel. Plus, all the extras that a hotel has you have to share with strangers! For people who love being surrounded by the outdoors and having the option of cooking their own meals and hanging out without random strangers beside you should really look in to renting a cabin/house for your next vacation. Yellow Rose Realty would love to help you find the perfect cabin for you vacation as well as help with any other questions about the Western North Carolina Area you may have! Visit us online at www.yellowroserealty.com or call us at (800)528-0760!